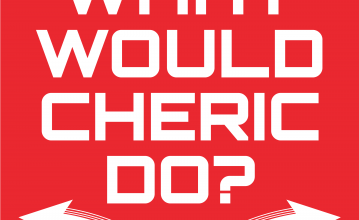 July | 2018 | What Would Cheric Do? In this cosmic adventure, Cheric wakes up aboard a dangerous research mission traveling through the stars at greater then the speed of light. Our mission is unclear but that does not stop us from facing danger head on with careless abandon. We dive into ourselves to search for the knowledge contained within while on a journey to discover where we came from and what lies beyond the unknown barriers of the universe. An ordinary thunderstorm and a visit to an old friend leads Cheric to battle a mysterious, angry spirit with origins in Ancient Japan. He must help his best friend, and fellow aikido practitioner, battle this ancient threat. Does Cheric have what it takes? Will he succumb to the tempting power this spirit offers? Can he give up all he loves in the pursuit of power? Tune in to find out!